Watery diarrhea is the major symptom of a C diff infection, so it’s no surprise that foods that combat loose stools are found in an effective, supportive C diff diet. C diff diet basics include "soft foods" to soothe your stomach. Has your doctor diagnosed your symptoms of watery diarrhea, abdominal cramps, fever, and fatigue as clostridium difficile, or C diff? You’re probably battling a lack of appetite (another typical symptom of c diff) and are picky about what you’re willing to eat. Understandable. But your ears may perk up when you hear our suggestions for a “C diff diet”—suggestions that may put you on the road to recovery a little more quickly. When you saw your doctor, he or she likely suggested you go on a “soft foods” diet, although what that means may not be clear. Whoever heard of “hard food”? Well, clearly, nuts and seeds are not “soft foods”—they crunch when you chew—so steer clear. But well-cooked vegetables like beets and green beans are good soft foods—important for an effective C diff diet. Vegetables are strong C diff diet foods because they have soluble fiber. “Soluble” means that the fiber in these foods attracts water, turning to gel in the GI tract and slowing down the digestive process. That’s exactly what you need in an effective C diff diet to get that diarrhea under control. In fact, several good animal studies showed diets high in soluble fiber actually help remove C diff bacteria. Starchy foods are a top choice for battling diarrhea, making them a staple in a good C diff diet. So those pasta dishes and potatoes you’ve been avoiding due to carbs and calories become headliners in your C diff diet. Crackers, bananas, and rice are also good choices. You’re looking for foods that help slow and calm your upset GI tract. In addition to quieting your grumpy intestines, you need to replenish the healthy digestive “bugs” in your system. Severe diarrhea wreaks havoc on your digestive enzymes, destroying helpful digestive agents. Probiotics in a C diff diet can help get things under control again. Diana Dyer, MS, RD, of TodaysDietitian.com agrees. “Foods that contain probiotics will help repopulate the gut with good bacteria and reduce the risk of regrowth of C diff,” she writes. Lactobacillus GG, as explained at cancer.gov. is “a live form of a bacterium that makes lactic acid (a substance that is made from sugars found in milk and is also made in the body),” helping with digestion and normal bowel function. One of the most widely recommended over-the-counter Lactobacillus GG supplements is Culturelle. Note: Adding Lactobacillus GG to your C diff diet is beneficial, but it is not a cure. Only your doctor can give you the medicine you need to cure a C diff infection. Always work with your physician before taking any supplements. Yogurt is a good part of your C diff diet as well, since it is loaded with several probiotics. According to the a 2014 article in The Hospitalist, a Pennsylvania hospital was able to cut its incidence of C diff by 67 percent by encouraging patients on antibiotics to eat yogurt every day. The facility won an innovation award for the program. Be aware that not all products labeled “yogurt” contain probiotics. The label must say, “Live active cultures.” Beyond that, add whatever flavor you like to your C diff diet. 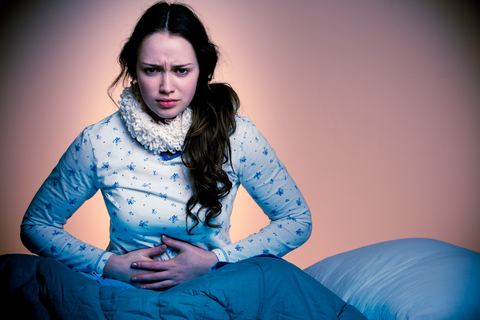 Consider that when your body is involved in a C diff infection, its ability to absorb nutrients is compromised, so the food you eat needs to combat that. As such, you need calcium in your C diff diet, but it may be one of the more difficult to add. Dairy foods are on the “avoid” list of foods in a C diff diet, because your body may temporarily develop lactose intolerance. (No, this doesn’t mean you need to avoid yogurt, say experts.) So while bypassing diary products, do look for calcium-fortified non-dairy products, like almond milk and oatmeal, for your C diff diet. Wheat is an insoluble fiber, which means it passes more quickly through the digestive system without absorbing water. We don’t want to speed the digestive process up when we’re dealing with diarrhea. Plus, many C diff patients become temporarily gluten-intolerant as well, so avoid wheat. 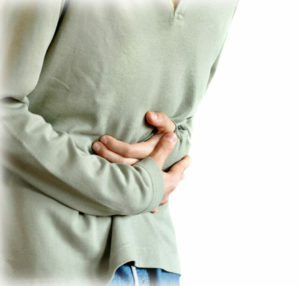 Digestive Issues, abdominal cramps, add, antibiotics, appetite, artificial sweeteners, bacteria, beets, c diff, c diff diet, c diff symptoms, caffeine, calcium, calories, cancer, chronic fatigue, chronic fatigue symptoms, clostridium difficile, cramps, dairy, dehydration, diarrhea, diet, digestion, digestive, digestive enzymes, ears, fatigue symptoms, fiber, food, foods that contain probiotics, foods to avoid, gluten, how to stop diarrhea, infection, lactose intolerance, milk, nutrients, nuts, potatoes, probiotic benefits, probiotics, recovery, severe diarrhea, sibo, sibo diet, sources of calcium, stop diarrhea, sugar, supplement, supplements, vegetables, yogurt. This information is conflicting and vague. What is “gassy” food? What are “hard to digest foods” (the answer is subjective)? This says not to eat wheat, but pasta is a headliner? Crackers are ok? This article would be far more useful with a scientific approach and a least slightly more comprehension. What are the sources of this diet information? You only list other UHN articles as “sources” but don’t mention studies or medical sources by name. Hi Philip, thank you for your question. Some of our articles do list sources from various studies and and medical journals, which are listed at the bottom of the article. This one, however, has sources listed within the article. We sourced content from TodaysDietitian.com, LiveStrong.com, Cancer.gov, and The Hospitalist. Wouldn’t it be fair to find better resourses on nutritional guidelines for C diff than to print literally contradictory and incomplete information throughout. It left me with more questions than answers. At the end it says to avoid sugar free foods?? Did I read that correctly? The reason I’m reading your article to begin with is because I’ve just been tested positive for C Diff and I’m looking for consistent information. If I eat anything with sugar in it I immediately get painful terrible cramps. When you mentioned eating yogurt with live cultures more than once I was sure you would clarify that plain yogurt with no sugar would be a clear distinction. After my adverse reaction to sugar I would not eat yogurt with sugar in it especially considering how much it has added in it. Because yogurt is pasteurized first and has live cultures added afterwards there is a lot of questions about the stability and shelf life of those cultures. There are fermented foods that produce the same cultures on going in much higher numbers without the die off or dairy intolerance. (saurkraut, miso, kombucha). Or probiotic supplements which are very easy to take. No disrespect as I did appreciate the reminder about the different types of fibre and some of the other info. It only seems that the resources of information could potentially be quite dated considering the contradictions throughout the article? Thanx again for considering my questions. Does Alcohol consumption affect C-Diff? You mention to avoid, “fat free foods” and “High-fat foods”. Does “fat free food” specifically refer to those foods made with Olestra? I saw that referenced in another article. Hi Kathryn, yes, the term “fat-free foods” refers to foods containing Olestra. Thanks for your question/comment. After spending 2weeks in hospital for c-diff was was given liquid med that let me be discharged providing I was continue with if for 10 days. It did stop the C-diff, however , in 6 weeks c-diff came back. I went to a different hospital ER and was given diffid14 pills) for $1,200. It stopped c-diff for 1 month. Now it’s back. I will get on the diet you recommend and see how it works. I was prescribed 2 rounds of metronidazole which didn’t help, since I didn’t have $4100 for vancomycin. My doctors left me for dead after suffering for weeks passing large amounts of blood and pus. I found a treatment online that saved my life, turmeric enemas twice a day for 14 days. I have been good ever since. I do take probiotics, a couple of different kinds, and eat fermented foods like sauerkraut and kombucha. I used to have faith in modern medicine, but not anymore. Do your research and have faith in God. I am a 68 yo woman who recently had a 9 day hospitalization due to C-Diff. I found this article to be very helpful in making recommendation for preventing further reoccurrences of the infection symptoms. My GI specialist only recommended yogurt for my diet. After performing my own research, I added probiotics specifically aimed at reducing the C-Diff flora. I am also a retired critical care RN and I would recommend that MDs and specialists inform their patients after catching up on the latest information for this disease!